This year we will have more special events than ever at the Giant Jamboree! Join us for networking sessions, panel discussions, and social events such as the Giant Jamboree dance party! 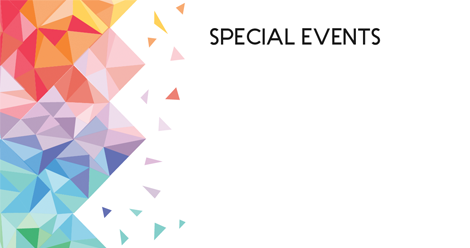 Visit the Special Events page for more information. Registering before the deadline ensures your team will have a time slot in the presentation schedule and a poster location. All iGEM teams must register by September 05. 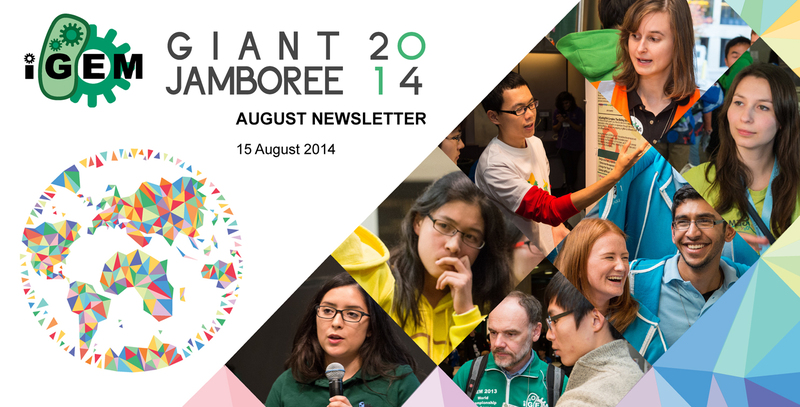 See http://2014.igem.org/Giant_Jamboree/Attending/Registration for more information. At iGEM HQ, we love getting questions and comments from the community! Your questions help us develop the resources on the Registry, and this includes our Frequently Asked Questions section. Q: How do I document an improvement on an existing part on the Registry? There are many different ways to improve an existing part, from adding measurement data to codon-optimization. Please see our Help page on contributions. The Registry is currently working on a new contribution system, and we'll keep you posted! Q: We have a part that we'd like to submit, but it is not BioBrick RFC 10 compatible. If you've already worked with this part, please document it on the Registry. However, this part will not meet the Registry's submission requirements, and you should not submit this part without prior approval from iGEM Headquarters. Please note that parts must fulfill the submission requirements in order to be eligible for medal criteria and awards. Q: When are our part submissions due? by October 10 to be eligible for medal criteria and awards. Make sure to mark your submission form as "sent" and include tracking information! If you have a question about iGEM and the Registry, take a look at our FAQs page. If you can't find an answer to your question, please contact us at hq AT igem DOT org. Your question (and the answer) will be added to the FAQs page, so all users can learn from it. The Final Version of the Safety Form is due on September 01. Click here to complete the form. You can use your Preliminary Version as a starting point. (But remember, in the Final Version, you must answer all the questions.) If you need help, please don't hesitate to ask! Email safety AT igem DOT org. The Check-In form has been published! Click here to complete a Check-In. Please submit all necessary Check-Ins by October 01. You must complete a Check-In for every organism/part you are using that is not on the White List. Please review the White List (and its FAQ) to see which organisms and parts require a Check-In, and which do not require one. Next Office Hours on Aug 28! Join us on Skype for the next Virtual Open Office Hours, on Thursday, August 28! Ask questions about safety, or just chat with other iGEMers! What do you think about this year's safety program? Which parts are good or bad, easy or difficult, understandable or confusing? Please contact us ( safety AT igem DOT org ) to tell us what you think. Your comments will be very helpful as we improve the safety program for future years!